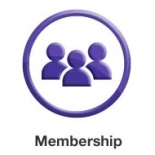 « Discounted rate for NASeA’s Life Membership ! Deadline is 02 September 2018 ! 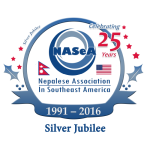 The Association of Nepalese in Midwest America (ANMA), Nepalese Association in Southeast America (NASeA) and Association of Nepalis in the Americas (ANA) are announcing the annual student writing contest. The contest is open to all high school (First prize – $300, Second prize – $100 and Third prize – $50: sponsored by Mr. Kanwar Awan), middle school (First prize – $100, Second prize – $75 and Third prize – $50: sponsored by Dr. Sanjeeb Sapkota and Ms. Sabina Sapkota), and elementary school (First prize – $100, Second prize – $75 and Third prize – $50: sponsored by Mr. Madhav Mainali and Ms. Sita Ghimire Mainali) students living in North America. The goal of this contest is to increase awareness about Nepal in order to preserve our culture and heritage, make our children proud of their root, and ultimately gain a better understanding of ourselves. We would like to invite all interested students to participate and play a vital role in making our effort successful.